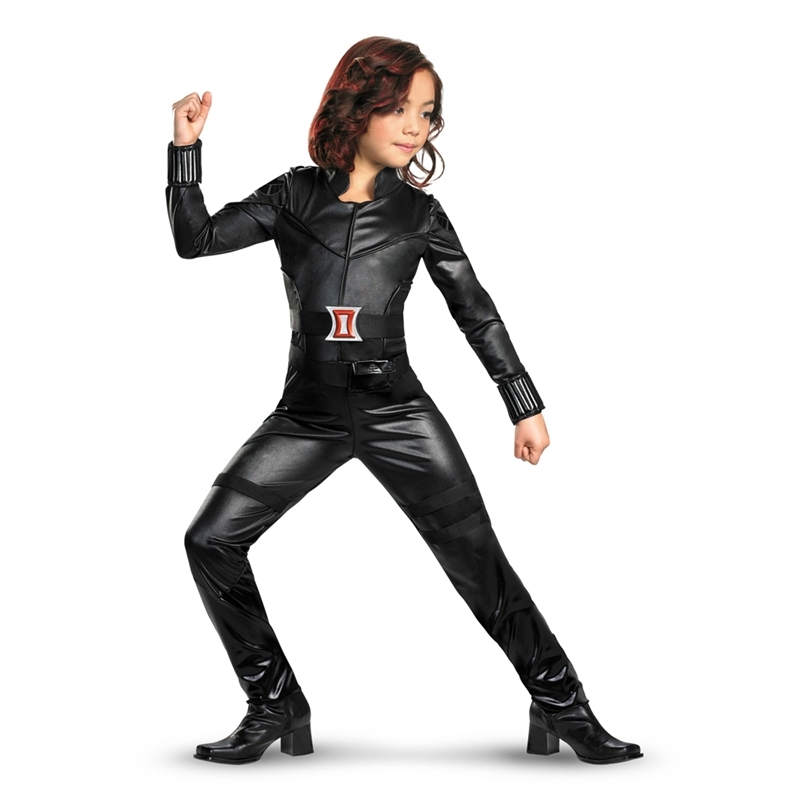 She’ll feel as tough as the leading lady of earth's mightiest heroes in the Black Widow Avengers Deluxe Child Costume. This Halloween costume lets her transform into the deadly and darling super spy Natasha Romanov. Jumpsuit, two belts, buckle, and pair of wrist cuffs.